What makes the Exalt Barrel Maid better than the others? The Exalt Barrel Maid uses a revolutionary Rocket Disc. This soft rubber tip glides past broken paint and shell without pushing it farther into the breech, then opens up to pull all the goop out. No more removing the barrel or fumbling with a plunger while under fire! 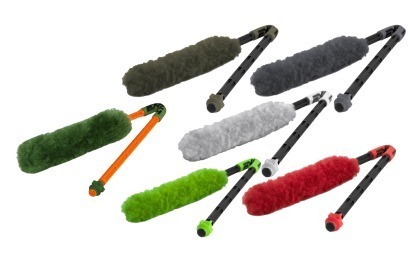 The maid end is an absorbent fluffy swab to instantly dry and polish the barrel. The Barrel Maid keeps you in the game.